Louisville Swamp is one of the largest and most diverse sections in the whole Minnesota Valley National Wildlife Refuge. 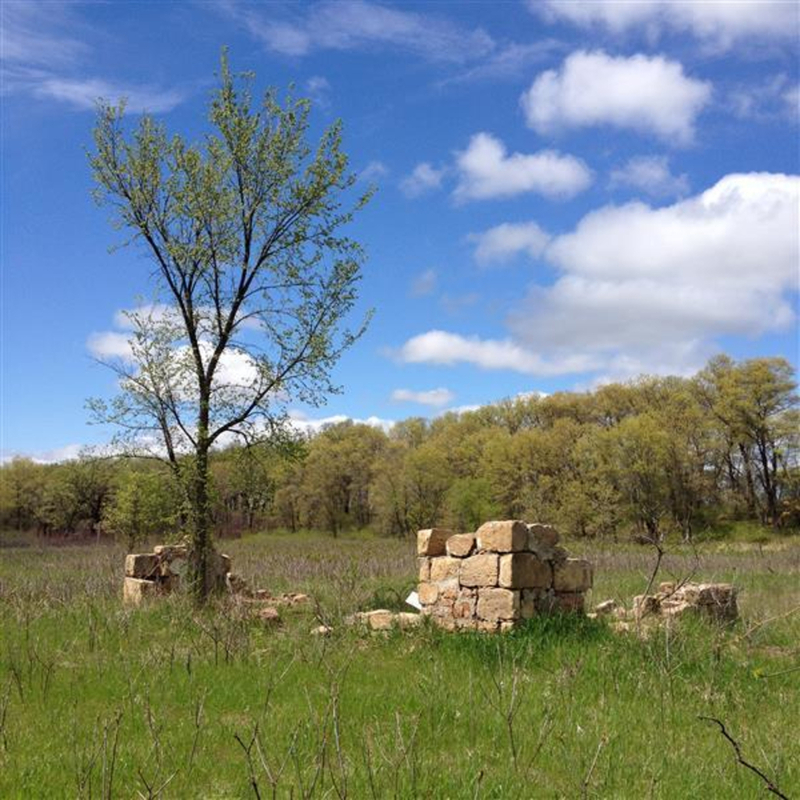 If you’re interested in walking, hiking, climbing, or even learning about Minnesota’s war history, then you will find everything and more here at Louisville Swamp. 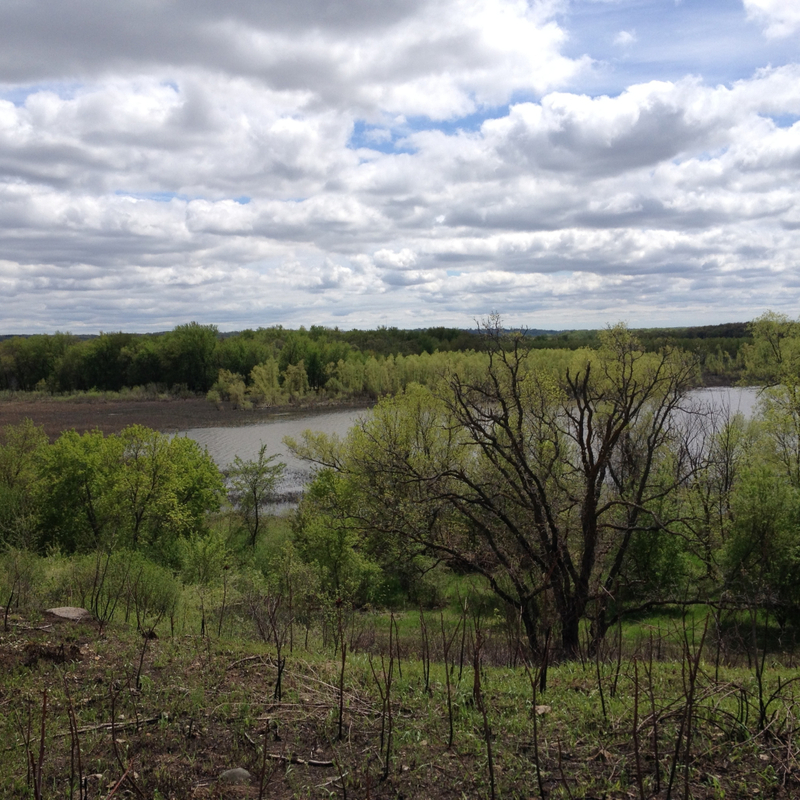 Found in the center of the Minnesota Valley National Wildlife Refuge, Louisville Swamp hosts one of the largest intact oak savannas in Minnesota. Now almost extinct because of fire repression, local biologists have led restoration efforts by doing prescribed burns in the local area. You can see their amazing results while in the park. 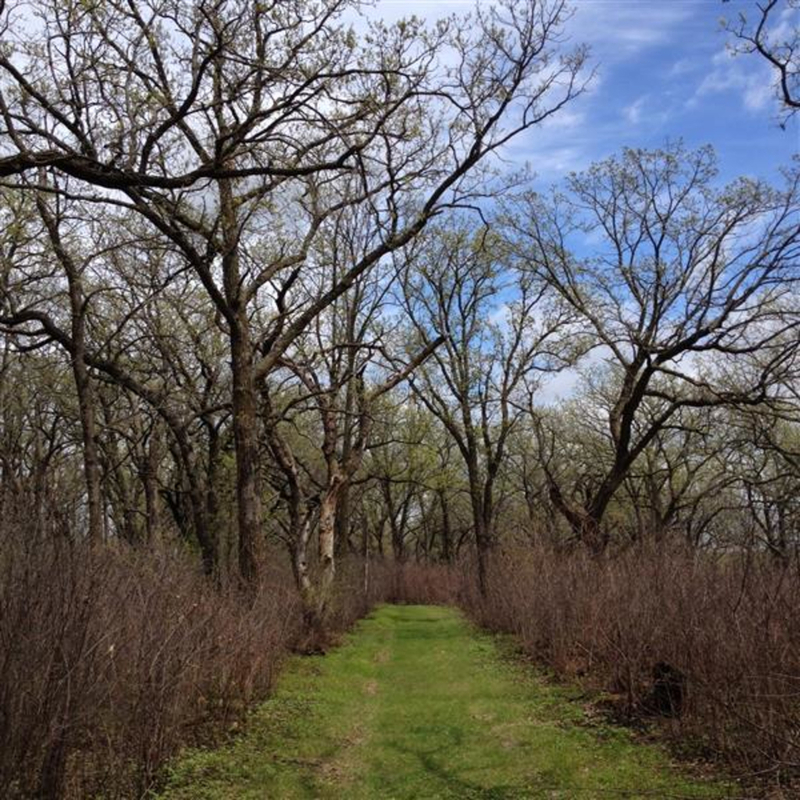 As you walk along the State Trail Access Trail, oak trees are scattered among prairie grasses. Since there is little shade, this allows plant species to soak up lots of sunshine and flourish. As an added treat, during the month of July, wildflowers are in full bloom and Louisville Swamp looks like Christmas in July. Similar to the twinkling Christmas lights on a neighbor’s home, purple prairie clover, pink wild bergamot, orange tiger lilies, and yellow sunflowers brighten up the trails with their color and smell. After walking one mile, you have a choice. Either, take a right and continue onto the State Corridor Trail or take a left to the Flood’s Road Trail and Jab’s Farm. During the spring and early summer, Flood’s Road often floods. Without the help of a canoe, the trail is completely covered in water and you must take Mazomani Trail east along Louisville Swamp. It is still possible to see Jab’s Farm, even when the road is flooded. All you have to do is to follow the Mazomani Trail around to the other side of the lake. It is an extra 3-mile hike, but definitely worth the hassle. In the late 19th century, a war was fought between settlers and the Dakota and Sioux tribes in the Minnesota River Valley. Even today, you can see the remains of old settlements that were destroyed during the war. During this time, there lived a Wahpeton tribe whose chieftain was named Mazomani. He spent most of his life being a peacemaker, trying his best to stop the fighting between his people and the settlers. He even travelled to Washington D.C. to attend a peace conference. Sadly, the war continued and Mazomani was killed while mollifying a dispute between the Sioux and the settlers. This trail was dedicated to him and you can read more about his valiant efforts from the informational posts at the trail entrance. There is a short, but steep climb up Mazomani trail that leads to a prairie to your left and views of the Mississippi River to your right. 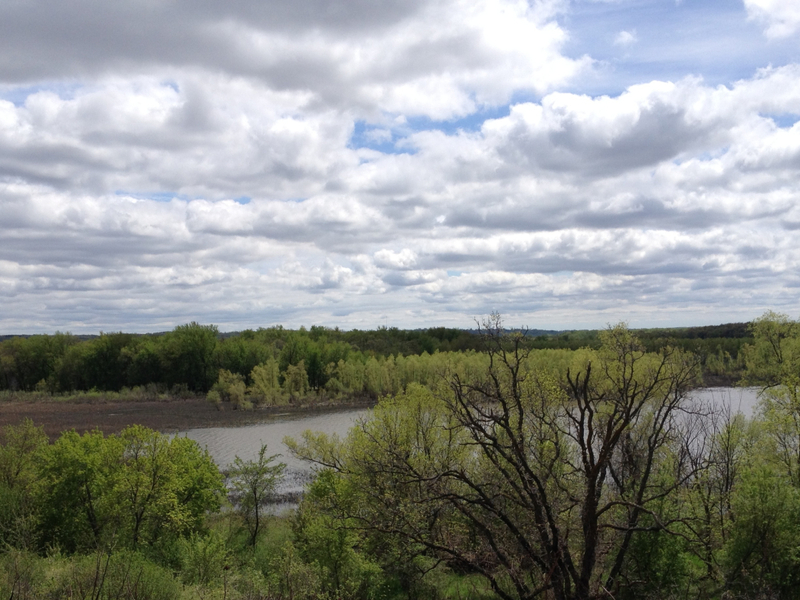 At this portion of the trail, there are many benches where you can rest your feet while enjoying the spectacular views of the Minnesota River Valley. 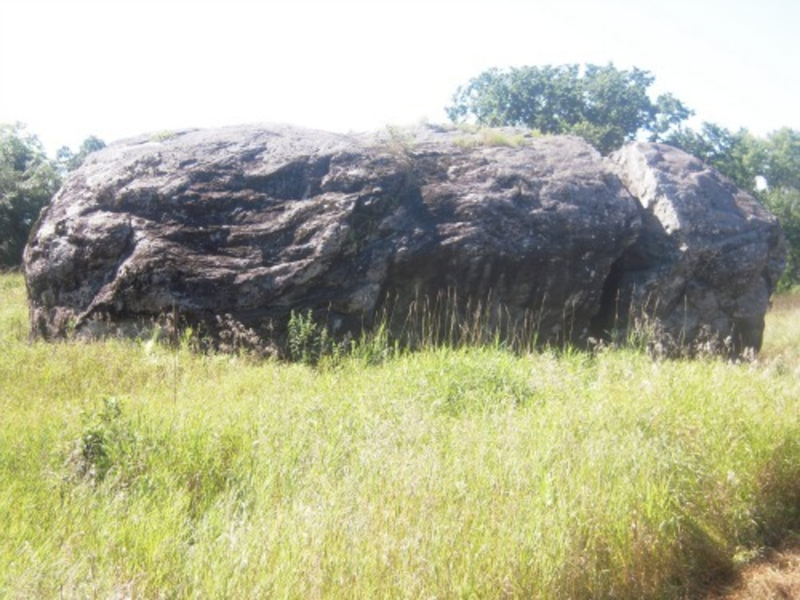 Continue south for 2 miles to find the giant glacial rock surrounded in prairie grasses. Known mostly by locals, the Louisville Swamp Boulder is 15-feet tall and is always covered in climbing chalk. Offering over a dozen bouldering routes set by the local climbing community, ranging from V1 to V4, there are routes for the casual or experienced climber. 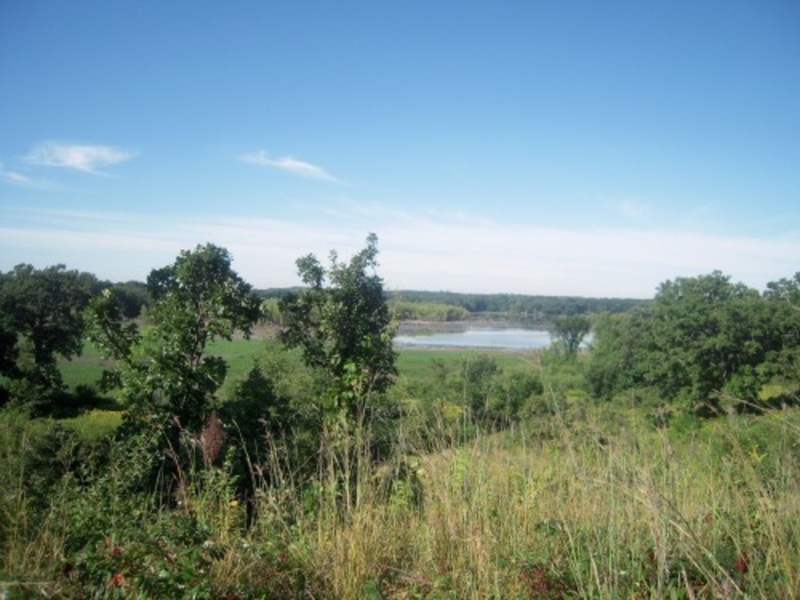 Hikers wanting to learn about the local history, while also having the opportunity to explore through oak savanna, marshland, and grassland prairie will enjoy a day in Louisville Swamp. Louisville Swamp is open from 7am to 10pm and has no parking fees. The parking lot is adjacent to the Renaissance Fair parking lot.